Alamo, I agree, I cannot even go near the doors of the Lush store. I have never bought anything there because of it and they are damn expensive anyhows (my sister brings home the catalogues). I am crossing my fingers that I like the MAC Cleanse Off that my mom bought for us today. The sunscreen I use needs to be removed with an oil based cleanser but the one I'm using (Clinique TTDO balm) I dislike. :-\ I hope it doesn't break me out. I went into one of their shops last year (it always smells so nice when walking past! ) and was shocked by their prices. maybe that's a UK thing? I can buy food for a week for the price of a shampoo bottle there. LOL. But I like to go in every now and then and check out their stuff. My fave body product is probably Shea body butter from the Body Shop. It's the best for my dry skin. It's the only expensive brand name product I buy. I noticed they were more expensive in the UK, but however it stays quite an expensive brand overall. I DO think it's worth it tho!! Absolutely! The products are AMAZING and you don't need to use a lot of it, so in the end it's pretty much the same as if you would use a different brand. L'Occitane is just perfect for me, not only does it wonders for my skin, it's not animal tested and natural friendly. it´s such a lovely scent; I don´t like anything "unnatural"<hope that´s a word nor would I ever use something that´s been tested on animals. L'Occitane' is so goddamn expensive I´ve only bought soap from there. same goes for lush. Foundation : Dream Matte Mousse is WONDERFUL! I love all Burt's Bees and Aveeno products. Must be Hypoallergenic. 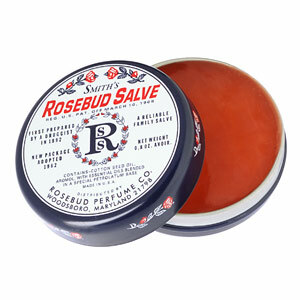 ^Rosebud Salve addict here too! It's so yummy and you can use is on anything dry! Hands... lips... etc. And Saar, Rituals is my fave too! ^ Whee, it's Dutch isn't it?